High quality concert poster reprinted from the original art work, custom printed on heavy stock. 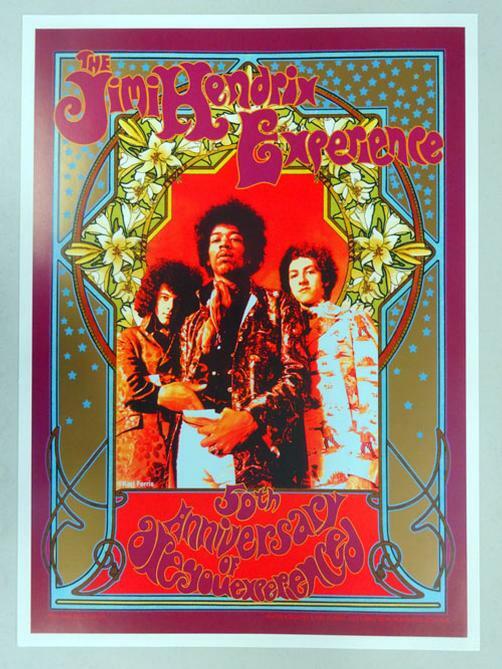 Celebrating Jimi Hendrix and the 50th anniversary Are You Experienced. 17.25 x 24 inches. NM condition. Artwork by Bob Masse.